Recorded by Sonya Luzina and Tessa La. English translation by Laura Ser. Subs by Julia B. The exclusive premiere took place in the Romanian morning show called Neatza cu Razvan si Dani where both singers were performing their song live. The song is called I’ll Show You and it was written and composed by Alexander himself. 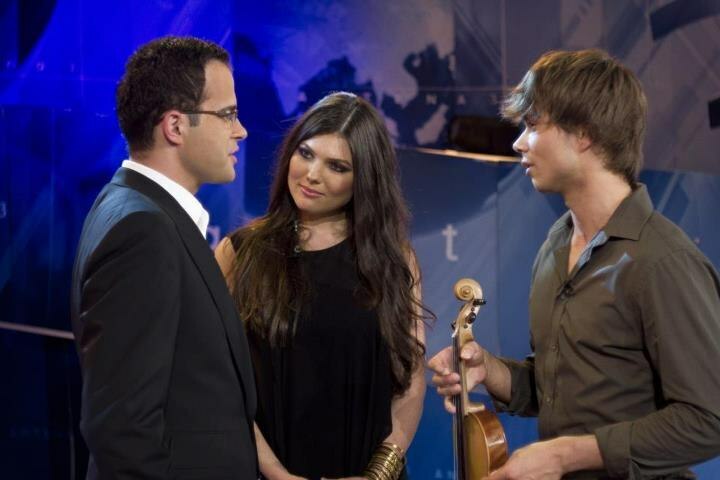 Alexander Rybak, the winner of the 2009 Eurovision Song Contest and Paula Seling, one half of the Romanian duo from 2010, have recorded a song together and he travelled to Romania for the official presentation of their new duet song to the Romanian audience. They also talked a bit about how they have worked on it. Source found by Alev C. Upload by Julia B. Translation and subs by Sonya Luzina.